Hey Factory Fans! Welcome to another installment of In House Interviews, where we take a look at some of the talent we have right here! 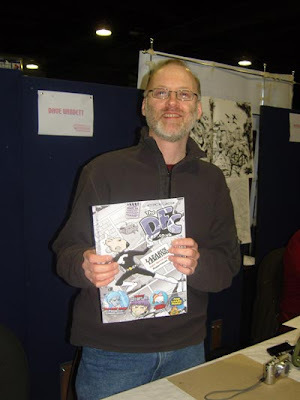 Today we talk to Dave Windett, Artist for Comic Book Mafia. Remember, there is no Comic Book Mafia. Tony: Hey, Dave, thanks for joining us. So tell us, how long have you been doing art? How did you get started? 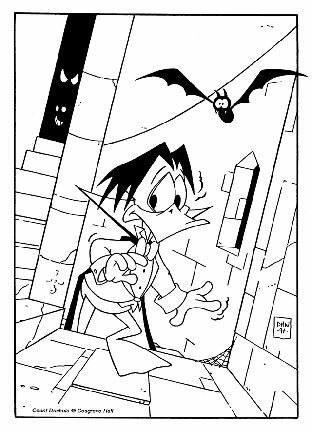 Dave: I’ve been working professionally for over twenty years my first work was on a Count Duckula comic published by London Editions ( an imprint of Egmont Publishing ) before that I drew for a number of comics an Science Fiction Fanzines. Tony: No way! I love Count Duckula and Danger Mouse! No wonder you’re so funny. I work on the Simpsons comics. Did you feel pressure to be funny? I always found comedy comics to be more challenging, what do you think? Dave: I think there is pressure to be funny and I was on one occasion asked to add more background gags to a strip. I still think the main challenge with comedy comics like all comics is to tell a story visually. With comedy comics this is probably even more important than adventure strips as the age range of the reader is greater, and not all of them are comics fans so the ” grammar ” of comics is not always second nature to them. Dave: I use photoshop for colouring and lettering ( when I have to ) I also scan and adjust my pencils (where necessary) before printing them out in non repro-blue for inking. The majority of my communications with clients is done via e-mail and my finished work is sent to them via e-mail or ftp sites. 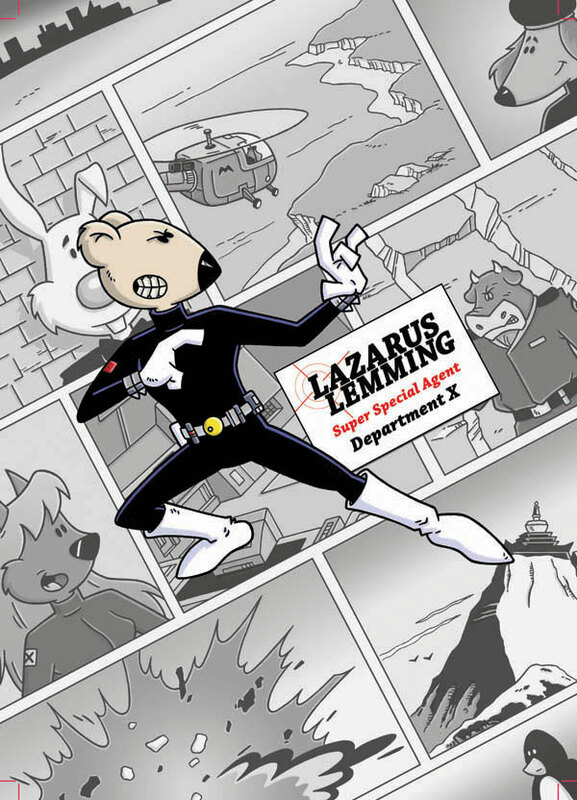 Dave: I have worked on comics featuring numerous licensed characters including Inspector Gadget, Ace Ventura, Loony Toons, Tiny Toons and Korky the Cat. I have Illustrated educational and kids books, business manuals and designed characters for various products. 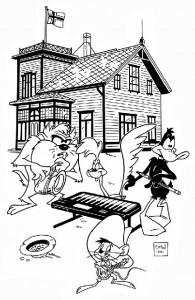 I have worked on comics featuring original characters for a variety of publishers. A full list is available on my website. Recently, I’ve drawn some cards for 5finity Productions third annual sketch card drive to raise money for March of Dimes, which will be auctioned off on e-bay later in the year. The cards were coloured using markers the way I used to colour before I had Photoshop. Tony: What are some of your artistic influences? Dave: I suppose my influences fall into two categories. The first of these are the people who created the Style guides for all the licensed characters that I drew and then there are the artists I am a fan of. Tony: Tell us about your home base. What’s your deal, Dave? Dave: I Live in Preston in the north of England and have converted one of the bedrooms in my house into a studio. Tony: What are comic books in England like? Do they differ much from American comics? What’s popular over there? Dave: There aren’t that many comics published in England these days. The majority of titles on the stands aren’t really comics they are magazines with only about half the page count being taken up with strips. These magazines are generally based around a licensed property and if the publisher can get away with it they will buy in the strip material from Europe or America, but some original material is produced. The Best of these are probably the various Dr Who and Torchwood Magazines and the various Marvel Superhero books produced by Panini Comics. A couple of years ago Book Publisher Random House Launched The DFC for which I co-created A character called Lazarus Lemming. Unfortunately this brave attempt at creating a new non licensed title failed. This year there are a couple of publishers will be launching new anthology titles – Mark Miller’s Clint and a comic called Strip both of which appear to be aimed at the 2000AD market. Tony: Do you find working on licensed comics hard? Is it more work? Is there a licensed comic you’d like to work on that you haven’t yet? It can be hard, some license holders are stricter than others when it comes to keeping characters on model and asking for artwork revisions. This sometimes means that even if the comics editor is happy with your work he can’t approve it until it has been seen by the licenser, it tends the make the whole process a lot longer. Another problem can be getting access to character model sheets. There was one occasion where all I was supplied with was third generation video, and the hard copy prints I made from it looked more like abstract impressionism. Having said all that I generally enjoy working on Licensed comics, and there are quite a few properties that I would like to work on. The classic Disney characters, Kim Possible, The Incredibles, Felix the Cat, Monsters Vs Aliens (if there is a comic) and Futurama. Over ten years ago I drew a couple of pages for the Bart Simpson Joke Book and that is one property I would love to work on again. Tony: I will put in a good word for you at Bongo! What’s your favorite strip that you’ve done for the Webcomic Factory? Dave: Probably CB Mafia 19 once I’d worked out how to do the Manga Town Sign. Tony: Oh, yeah. That’s coming next week. I greatly enjoyed your cameo at the end of the Ernie Sketchy storyline on page 13 where you’re holding the torch. 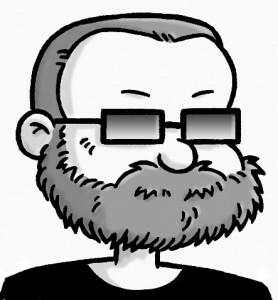 Do you read webcomics and if so, which ones? What kind of comic books do you read? As for comic books these days I generally just purchase collections the only regular comic I buy is The Weird World of Jack Staff. I have recently picked up The Dead @ 17 ultimate Collection, Bad Girls, Buffy the Vampire Slayer Season Eight and a few Uncle Scrooge Books. Tony: What other projects do you have going on besides the Webcomic Factory? Dave: I don’t have a great deal going on at the moment, I’m actually looking for my next paid gig, I have a couple of things that I’m discussing with a writer at the moment but they are at a very early stage. Tony: Where can we find your work online and in print? A strip called Wacky World of Animals can be Seen on the Imagine Daily Website. You would probably have to search back issue boxes or e-bay for most of my printed work. I do have a strip in the Reading With Pictures anthology and I have a piece of work in Sci-Fi Art Now a book from Ilex press which will be published later in the year. Tony: Cool. I’m sure some “friends of ours” in the Comic Book Mafia will make sure they order plenty of issues. I’ll contact our sales rep Jimmy the Pick and get him right on it. Thanks for chatting with us!